My Trip in Salvador Brazil - ANB Bonsai Workshop in April 26--28. That's an unforgetable bonsai trip in Salvador Brazil , However about 2 days flight was pretty tired. Meet lots of good friends, thanks all bonsai friends in Brazil, hope meet you again soon. 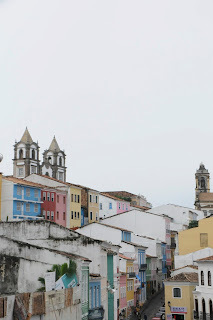 One of the most beautiful city ever been in past few years, Salvador.